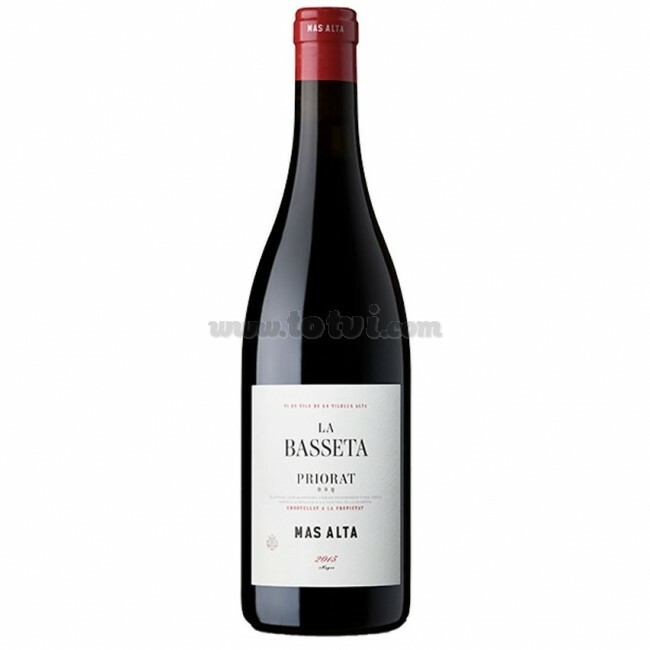 La Basseta is a red wine coupage of Grenache, Cabernet Sauvingnon and Carignan from vineyards between 15 and 100 years old. A feminine wine where the intensity of the fruit mix gives it a prolonged and silky flavor. Elegant and structured wine, a wonder for the palates. La Basseta is a red wine coupage of Grenache, Cabernet Sauvingnon and Carignan (50%) from vineyards between 15 and 100 years old, Carignan being the most centenary while the others are the youngest. Cherry red color, clean and bright. Elegant and structured wine where mineral, spicy and fruity aromas predominate. In mouth tannins marked but round with spicy and roasted notes. A feminine wine where the intensity of the fruit mix gives it a prolonged and silky flavor. The harvest is done respecting nature and above all, the vineyard. Harvesting and when the grains of grapes enter the cellar they are stored in a cold room and they are chosen in a double selection table. Afterwards, an incineration by gravity is carried out. Aged between 14 and 18 months in French oak barrels selected by Michel Tardieu. Ideal to accompany sausages and semi-cured cheeses, Iberian ham, grilled red meats, rice with meat, risottos, etc.